If there is any force that can unite the native Hawaiian community, it’s Queen Liliʻuokalani, Hawaiʻi's last monarch. Crowds gathered at the Maunaʻala Royal Mausoleum for a march to ʻIolani Palace. Most wore black to commemorate the overthrow of the Hawaiian Kingdom 125 years ago by a group of western businessmen and missionary descendants. 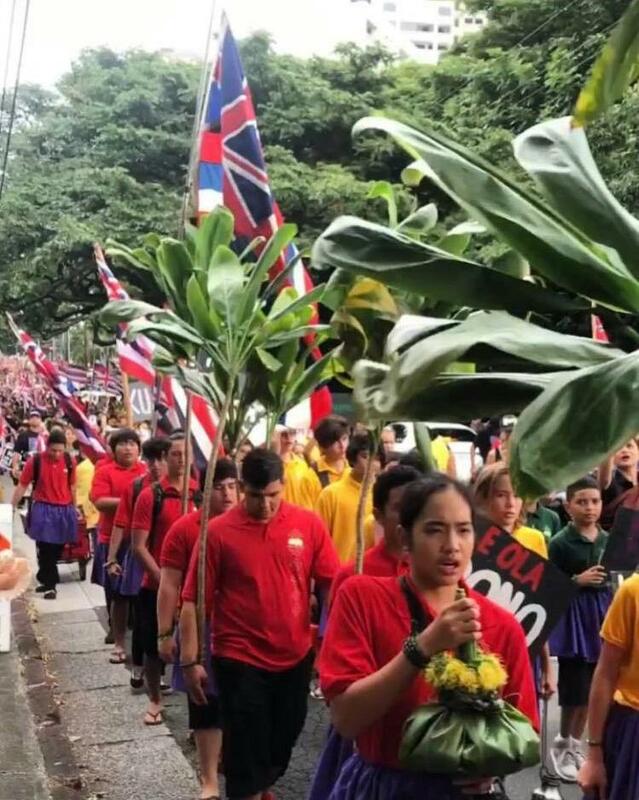 Others waved Hawaiian flags as they made their way to the Palace chanting and singing songs of solidarity. 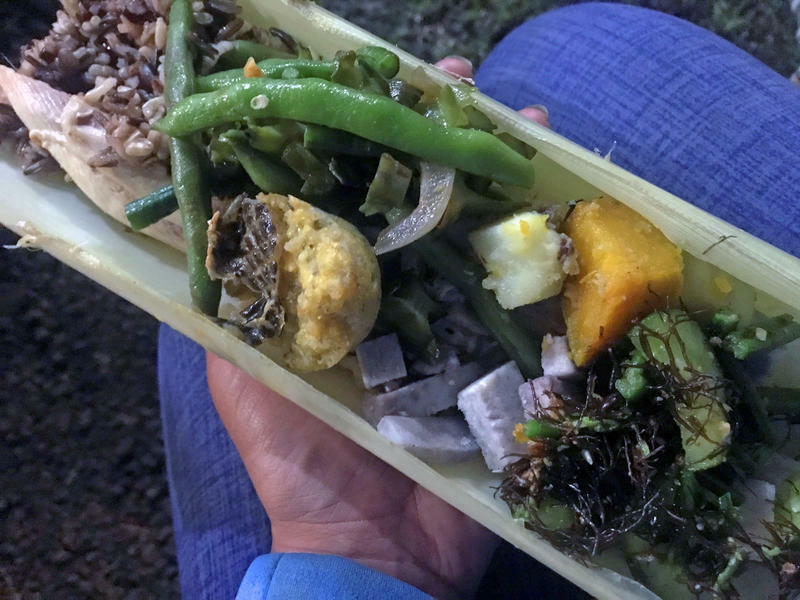 “You know I got on a plane with a 104 degree temperature, and my wife said you ain’t jumping on a plane,” says Keʻeaumoku Kapu. Kapu flew in from Maui this morning. Like many others across the island chain, he was determined to march today. “Time to raise up. Time to step up. Time to get assertive in everything that we do,” says Kapu. Onlookers lined the streets to catch a glimpse of the marchers as they made their way through downtown Honolulu. Commuters stuck in traffic because of the march showed their support. Waiʻanaeʻs Keliʻikoa-Kamae brought her two children with her. Despite it being a school day, she like many of the parents there saw the value in having their children experience this. The multitude of young native Hawaiians on the march in strollers, on parentsʻ backs or walking themselves was definitely a point of pride. Here’s former Governor John Waiheʻe. Waiheʻe recalls learning of a day in Hawaiian history when native Hawaiians witnessed the lowering of the Hawaiian flag over the Queen’s home - ʻIolani Palace. 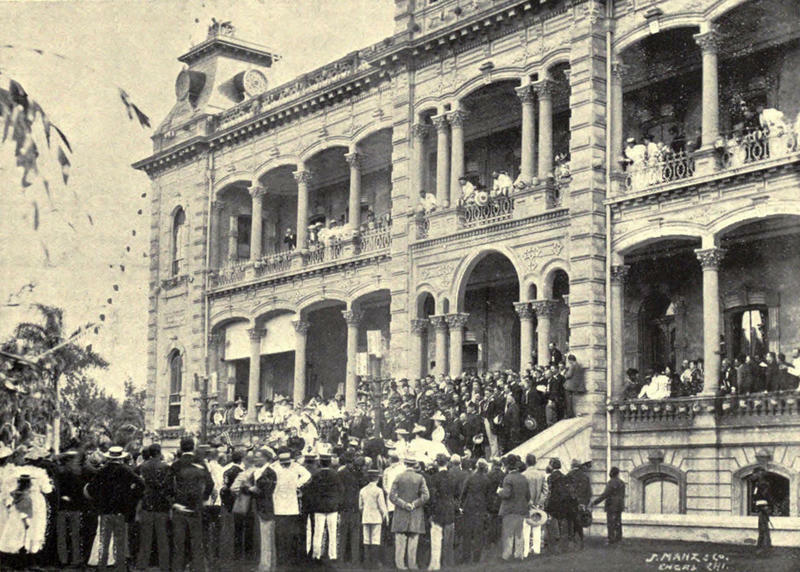 As marchers reached the end of the route, proceeding through the gates of ‘Iolani Palace, they witnessed the raising of the Hawaiian flag for this one day. In this one moment, native Hawaiians united.